Dad's invention- Biodiesel brewer (turns used vegetable oil into biodiesel). Saw my former Biology teacher. Back in 6th grade she helped me review for the Phil Science High School entrance examinations. I recall crying for days when my dad didn't allow me to study there after passing. What.A.Dweeb. But father knows best. LOL. 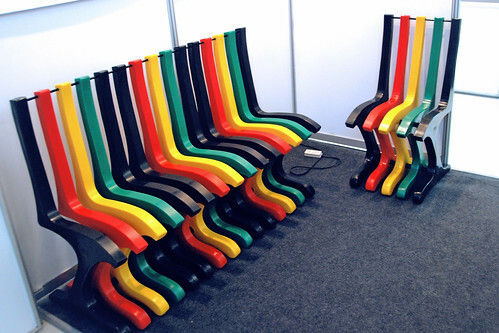 You can choose the colors (alternating or not) and the texture (granite or faux wood finish). Will be tweaking this design a bit (backrest has to be tilted further) but so far it's quite comfortable for an outdoor/mall chair according to the viewers. Yay! Was extremely surprised that Dad and I both made it to the nationals! That means we'll be competing again this November. Quite nervous for the nationals (it's gonna be in Manila) but it's gonna be an awesome experience. Very excited to see the other inventions in the different categories. Sooo thankful that my dad helped me out with this! It would be pretty awesome to be called an inventor! "Dad's invention- Biodiesel brewer (turns used vegetable oil into biodiesel)." This is so Cool! This will help us a lot! 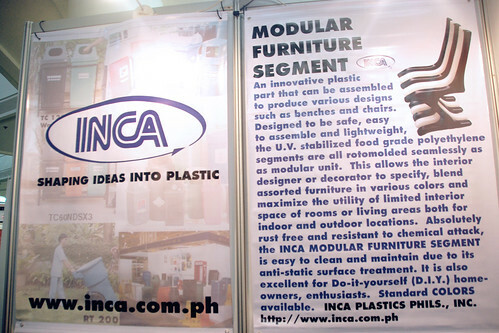 Long Live Filipino inventors! yeah they've been using that in our factory in Cebu for quite some time now. :) It was featured in the paper i think! 100% of the veg oil gets transformed, too. nothing wasted! "100% of the veg oil gets transformed, too. nothing wasted!" 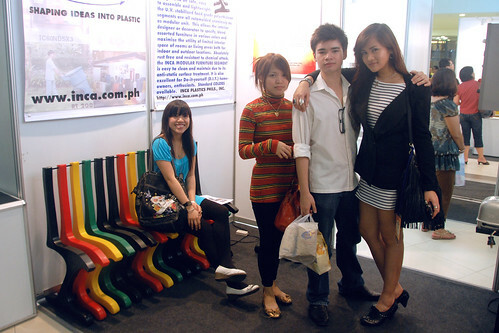 I want that plastic bench, its awesome! lol @ I recall crying for days when my dad didn't allow me to study there after passing. What.A.Dweeb. god bless..u and ur dad are just amazing!!! Anon 8:27- Yup. Shell gets a lot of different stuff from INCA i think :)) Thank you! 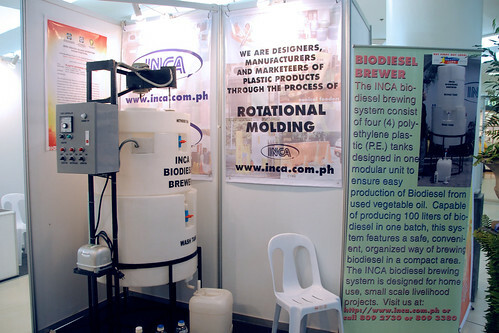 hi ral.. where can i inquire about the biodiesel brewer? does your dad sell the machine?